Use almost any type of flour. Rice and wholemeal work very well. You can make it without any flour (remove the baking powder as well), however, the consistency will not be as firm, making it more difficult as a finger food for a young child. Use overgrown courgettes that are practically marrows! If I remember rightly I originally found this recipe on the taste.com.au website, although over time it has been altered by me. Great recipe! 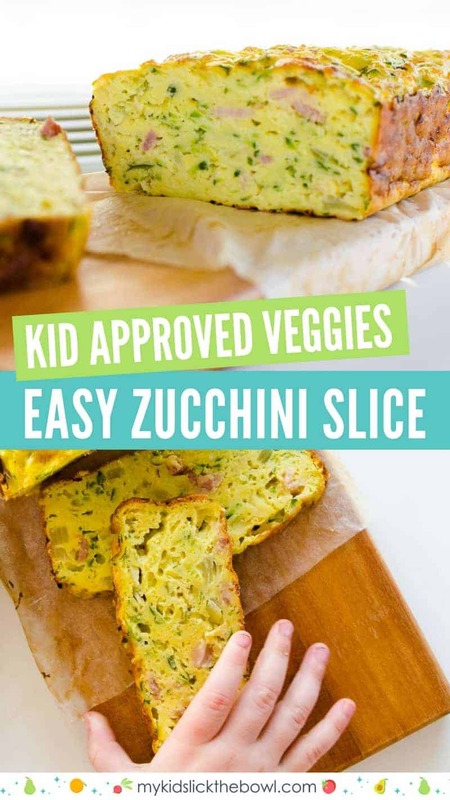 Easy to make, easy to adapt (did not have enough zucchini so put carrot instead), easy to freeze and easy to eat! A must have for a pick nick lunch. Hiya, this looks fantastic for using up courgette and the eggs from our chooks! quick question, any ideas how many courgettes 500g equates to? I grated and froze some during the glut in old sour cream containers (250g) and wondering how many of these containers might work?? Or if frozen even would work? ?